Published by Cyril Huze March 17th, 2013 in Builders, Editorial and Events. Norton Ltd. purchased the historic Donington Hall, which will serve as its new corporate headquarters and manufacturing facilities. Situated on 26 acres of classic English countryside and located within the Donington Park Grand Prix Circuit race complex, the new head office and production facilities are situated less than a mile from Norton’s current manufacturing plant. The company will first transition its corporate and engineering staff to the new location, and then subsequently prepare for transfer of its manufacturing to the site. 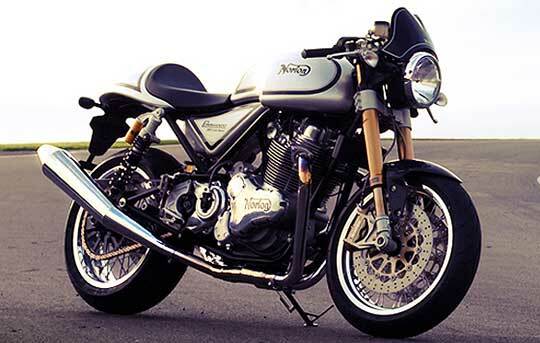 As Norton readies itself to increase production and enter new markets worldwide, staying true to its mainstay of quality without compromise and ‘Built in Britain by British hands’ remains a top priority. As such, the company has been bringing more and more manufacturing in-house, and the new location now permits the company to continue to mature and grow within its existing locale. Steeped in British history, the main building Donington Hall was constructed in a Gothic Revival style in 1790. While the original 40,000 ft2 Donington Hall and its grand entry greet with remarkable architectural style, the building’s interior features modern office and meeting facilities. As recently as 2012, the site has served as world headquarters for British Midlands Airways, and benefits from a fresh, complete renovation and modernization. Located within the same grounds to the rear of Donington Hall is an additional 45,000 ft2 of a newly constructed building complex, known as Hastings Hall which will serve as Norton’s production facilities. The Donington Grand Prix Circuit complex, home of the new Norton headquarters, has become one of the world’s major destinations for motorcyclists and motor sports enthusiasts alike. The site is home to 2013 rounds of the World and British Superbike championship, as well as a full calendar of world class motorcar road racing, vintage racing, rock concerts as well as the Grand Prix Collection museum which houses the world’s largest collection of Formula One race cars. This entry was posted in Blog and tagged cafe racer, carpy, norton, ton up, vintage motorcycles.